Surprised to see how infrequently the cards used, especially by priests. 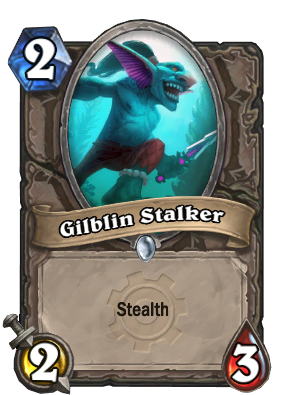 I like it, 2/3 vanilla stats are fine, but the stealth is what makes it awesome on my priest. It's kind of like Shade of Naxxramas in the sense I keep it stealthed as an investment if I can, to buff it then clear/trade a turn or two later. I ship it with Gnomeregan Infantry. Before the BRM launch, some Priest decks employ this deck to utilize Velen's Gift. It's just like how Priest must pick up Stranglethorn Tiger in the Arena run, as the stealth really helps. Unlike Shade of Naxxramas, it's not easily killed by minor AOE or random splitting damage.